Physiology/medicine prize recipients discovered, validated natural treatments for devastating diseases. (Inside Science) -- The Nobel Prize in Physiology or Medicine went to three researchers whose discoveries revolutionized the treatment of parasitic diseases, and in the case of some worm-borne afflictions, may finally eradicate them. The awards went to William C. Campbell, research fellow emeritus at Drew University in Madison, New Jersey, and Satoshi Ōmura, professor emeritus at Kitasato University, Tokyo, Japan, for their work on roundworm parasites; and Youyou Tu, of the China Academy of Chinese Medical Sciences in Beijing for her work on a drug to treat malaria. Both advances were done by looking at natural, local substances. In the case of Tu’s work, ancient Chinese remedies and herbs proved the key to finding new treatments. In Ōmura’s case, his search took him to the woods near his favorite golf course. "I humbly accept it," he said of the prize in an interview. "I am surprised." Ōmura looked at a type of bacteria found in soil called the Streptomyces, the group of organisms from which late biologist Selman Waksman extracted streptomycin, one of the earliest antibiotics. Ōmura took his samples and using large-scale culturing, he isolated thousands of new strains from the soil. He then took the 53 most promising with the intent they be studied further for their antibiotic strengths. Campbell used Ōmura’s cultures to test for efficacy and produced Ivermectin, which kills the parasites, first for use in domestic and farm animals, and then in a more purified form, for use in humans. Tu looked at the literature of ancient Chinese medicine for her breakthrough, which started with the plant Artemisia annua. Her first attempt produced inconsistent results, so she went back to the literature to find cause to extract the active ingredient, and named it Artemisinin. Her work led to a whole new class of anti-malarial drugs, usually used in combination with other drugs. While parasitic diseases are a minor and often ignored public health problem in the developed world, they are a major plague elsewhere. Parasitic worms, such as the roundworm, affect one third of the world’s population, particularly in sub-Saharan Africa, South Asia and Latin America. The larvae live in the soil and get into the body by traveling from the hands to the mouth, or in some cases through the skin. Symptoms don't appear until about a year after infection. When the adult worm growing in the body is ready to lay eggs, it breaks through the skin as an open wound, usually when that part of the body is submerged in water, and crawls out. The worms can be a foot and a half long. For onchocerciasis, this roundworm infection is caused when an infected blackfly introduces worm larvae into the skin of the human host, where they penetrate into the bite wound. These larvae can develop into adult worms underneath the skin and cause skin nodules to form. Treatment with ivermectin every 6-12 months kills the larvae and microfilariae but not the adult worms. Adult worms can also be removed surgically. The diseases they cause are serious and include river blindness (onchocerciasis) and lymphatic filariasis, the latter leading to ghastly swelling disfigurements, including elephantiasis and scrotal hydrocele. The infection can last nine years. Ascariasis, an intestinal infection, is the most common human worm infection, affecting a billion people. Ivermectin kills the parasite. Malaria is a historic problem and one of the oldest human diseases, perhaps 50,000-100,000 years old. The disease starts with a parasite carried by female Anopheles mosquitoes, from a group of protozoa called Plasmodium. The bite of the mosquito introduces protozoa into a victim’s bloodstream. The parasites travel to the liver and reproduce there. Two weeks later, symptoms appear: raging fever, vomiting, headaches, and possibly coma and death. If not treated, the parasites continue for generations and the victim has recurring bouts of malaria for years. Traditionally, doctors used quinine and chloroquine to treat malaria. British colonials learned to put quinine in their gin to act against malaria -- the origin of the gin and tonic, although there was not enough quinine to make much difference. The disease sickle-cell anemia, which mostly affects people of African origin, is believed to be an evolutionary defense against malaria. 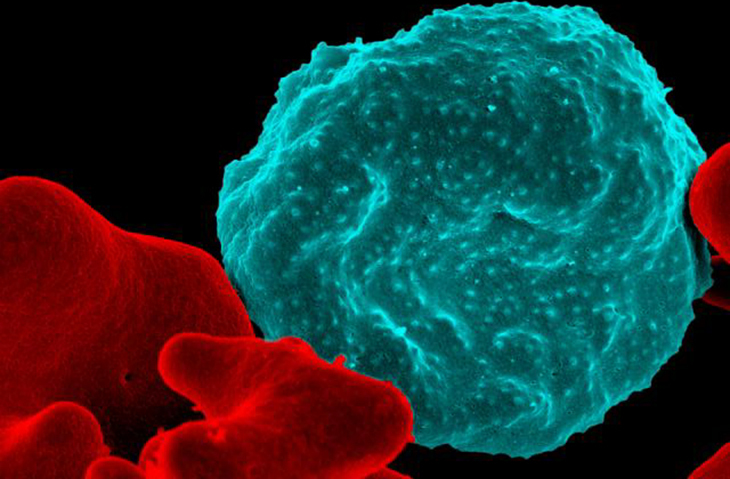 Defective hemoglobin genes make it impossible for Plasmodium to reproduce, so people with sickle cell are more likely to survive a malaria infection. But the parasites evolved to be resistant to the drugs, and the mosquitoes became resistant to insecticides. In some places in Asia, resistant mosquitoes and resistant parasites have combined to produce the worst of all possible outcomes, according to Matthew B. Laurens, associate professor of pediatrics at the University of Maryland School of Medicine in Baltimore, who has worked on the disease in Asia. Malaria now kills almost a half a million people a year, mostly children. Artemisinin is the first of a class of drugs to kill the plasmodium in its early stages and is extremely effective. Although Artemisinin is a game-changer, Tu’s victory may be short-lived: The parasite is beginning to evolve resistance to Artemisinin in places like Burma and Cambodia, Laurens said.